What’s the deal with the notorious East Whistle? Walking through the hallways of the West Bend High Schools, one is frequently greeted with a barrage of noises: the slamming of lockers, the whispering of gossip, and the scuffle of students’ shoes as they rush to get to their next class on time. One of these various sounds, however, has gained quite the reputation. Dubbed the “East Whistle,” this infamous banshee-like screech can occasionally be heard in classrooms along the R and S hallways, located by the East English department. This strange noise has been present for at least 10 years. Erica Gilhuber, a senior at East, remembers the noise from her freshman year of high school. Terry Brace Krueger, an East English teacher, also reports having similar issues with the noise. Many high school staff members have devoted time trying to figure out what the source of the whistle is and how to put an end to it. However, the mystery has been difficult to unravel due to the fact that the whistle isn’t heard every day. So, what exactly could be causing the whistle? According to Dave Hamilton, a maintenance worker, there is a lot of speculation regarding the East Whistle. HVAC technician Greg Bayer credits the whistling sound to the arrangement of the schools’ ductwork. According to Bayer, it looks like the East Whistle is here to stay. 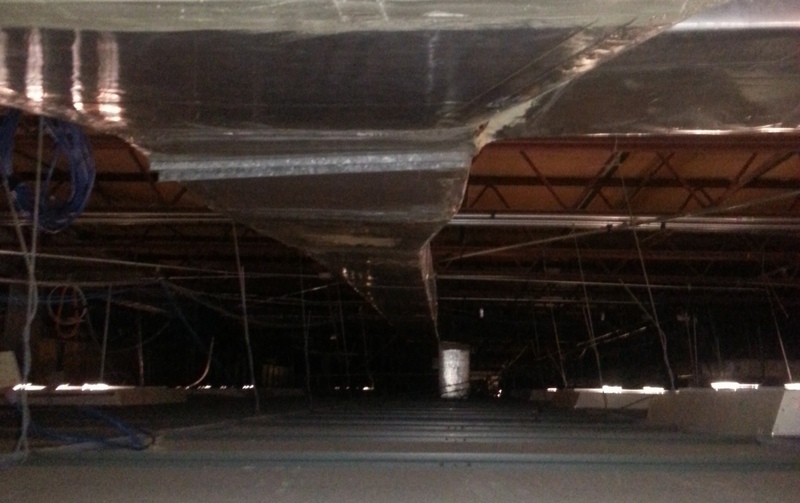 Fixing or replacing the current ductwork would be a huge cost to the school.